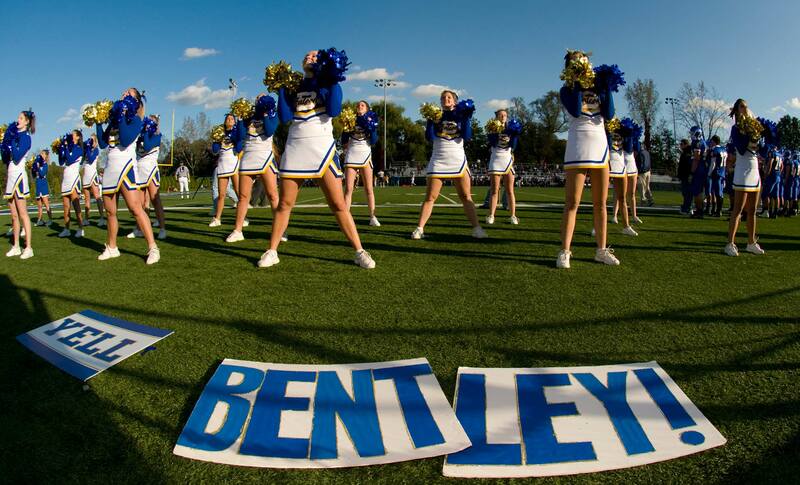 Wide angle photograph of cheerleaders at football game taken at Bentley University. Image is made using a very wide angle lens to purposely distort the placards in the foreground. Photograph used in promotional brochures and campaigns.